Budget 2015 is going to be the make-or-break budget of the Modi Sarkar. If Prime Minister Modi pulls this one off, he will become India’s Deng Xiaoping; otherwise, he runs the risk of facing the people’s wrath for falling short of expectations. As per the latest Cvoter Budget opinion poll conducted on 24-25 February 2015, over a representative random sample of 1,942 respondents, the people of India have great expectations from the Modi Sarkar. These expectations are coming on the back of the government’s rather bland and not so visible development agenda in the first year of its tenure. Despite an insipid first budget and no seminal breaks from the past, the people of India are excited and confident about their future quality of life. The BJP’s strong mandate was largely driven by economic issues that eventually became electoral planks, and the opinion poll analysed some of the more important among these. Inflation or price rise was the primary vector of political attacks utilised by the BJP against the previous UPA administration. In the poll, only 49% of respondents agreed with the statement that inflation had been brought under control, while nearly 50% either stated that they saw no change in the status of inflation or complained about enhanced prices in the economy. From the figures, it is evident that despite a decline in global fuel prices, the impact of lower energy prices is yet to permeate across the board. Also, the economy is currently marred by huge supply side constraints that need to be addressed in order to alleviate the economy of shortages that has come to occupy the market space in the past few years. With half of the population unimpressed on the inflation front, more needs to be done to alleviate concerns, real or perceived. Exploring another plank of the BJP campaign from last year, the poll addressed the topic of “Acche Din” or the quality of life. Only 39% of respondents perceived an improvement over the past year, while 34% stated that it was more or less the same, and 25% complained about a deteriorated standard of living. In other words, 59% of the respondents did not feel benefited by the change of government at the centre and nearly a fourth felt a decline in the quality of life. The tables however turn when it come to future aspirations. Expectations and hopes are still running high, with 61% respondents confident that they will enjoy an improved quality of life in the coming year. Meanwhile, 16% feared a decline in living standards while only 9% thought that the status quo would remain unchallenged. 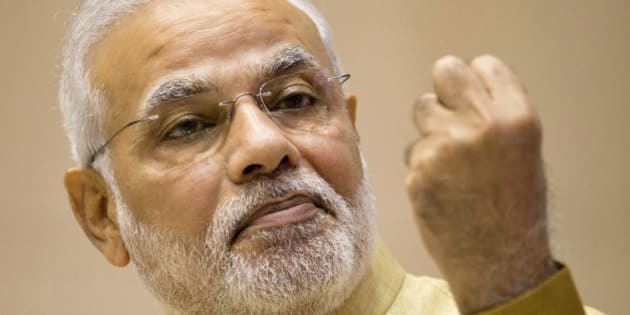 When asked to rate the overall performance of the Modi Sarkar on the economic front, 36% rated it as better than expected, 28% stated that the performance met their expectations while 29% found it to be worse than expected. We observed that the respondents granted a ‘grace period’ of sorts for the new government to get its house in order given that the Modi Sarkar had inherited an economy beset with deep structural problems. However, beyond this point people will be more demanding and it would be up to the economy managers of the regime to deliver on their promises. Taxes are, of course, a key issue. A large number of Indians–especially salaried professionals and the middle class–resent funnelling their income into propping up a gargantuan government marred by inefficiency and sloth. In the run-up to the general elections 2014, there were loud whispers of income tax abolition for individuals, along with other measures to free up individuals to consume and grow unhindered. Given that a lot of people bought into such ideas and that currently there is little movement on this front, the poll numbers provide some insight into possible policy alternatives. When asked to quote a monthly income figure that would sustain the average quality of life for a family of four, the HIG families indicated that Rs40,106 would do the trick. The MIG families quoted an amount of Rs34,747, the LIG Rs23,771 and finally the BPL families quoted Rs20,296. As many as 84% of the respondents from all socio-economic strata wanted their respective aspirational incomes to be declared tax free. Hence it is imperative for the economy managers of the NDA to pay heed to the income levels stated and the expectations of the middle- and higher-income groups that split their votes between the BJP and AAP in the Delhi elections. Speaking from a political point of view, Narendra Modi should avoid the trap that the Vajpayee government fell into. India’s economic growth took off under Atal Bihari Vajpayee, savings rose to an all-time high, investments catapulted to dizzying heights, infrastructure build-up was kick-started and there was overall feel-good sentiment. Vajpayee focused on systemic reforms and disinvestment to create a nice skeletal structure for launching the Indian economy into the new millennium. However, the service sector-based growth episode was coupled with weakness in the manufacturing and primary sectors. This resulted in a phase of jobless growth in India, particularly in the low-tech and grassroots sectors of economy. Therefore, despite the India Shining slogan and overall decent economic performance by his government, the 2004 general elections turned out to be Waterloo for Vajpayee, the Napoleon of the Indian Right! To avoid a similar fate, job creation and dispersion of the fruits of economic growth should be an urgent priority for Team Modi. Only 39% of respondents perceived an improvement over the past year, while 34% stated that it was more or less the same, and 25% complained about a deteriorated standard of living. Great nations are all about institutional strength and policy continuity. Prime Minister Modi laudably mentioned the same in one of his post-victory speeches. However, in the Indian context while some of the institutions have delivered, others have failed to deliver, especially relative to other countries that stood at same stage of development as India back in the 1950s. Hence it is imperative that the government understands that it got a massive mandate to change and uproot policy inertia that has stymied the aspirational India for decades. A policy that leans on gradualism and accretional reforms will always run the risk of being painted as old wine in a new bottle. A glimpse of the repercussions of such a political strategy was witnessed in Delhi where Team Modi was successfully positioned as the new establishment and then taken to the cleaners in the assembly polls. Team Modi is delicately poised at an inflexion point in the political game of thrones. If it wins this breakpoint then it may very well cement the pre-eminent position that it has come to occupy. Otherwise it would become an increasingly uphill task for the government to manage the expectations of a restless citizenry that has no hesitation in routing the establishment at the hustings.